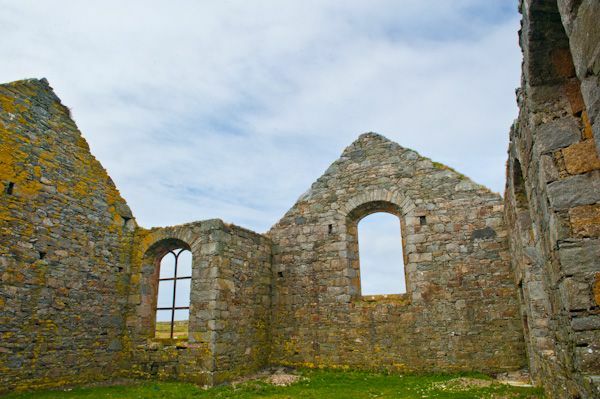 Just off the coastal round on the extreme east end of Berneray stands a roofless ruin of a church designed by famed Scottish engineer Thomas Telford. 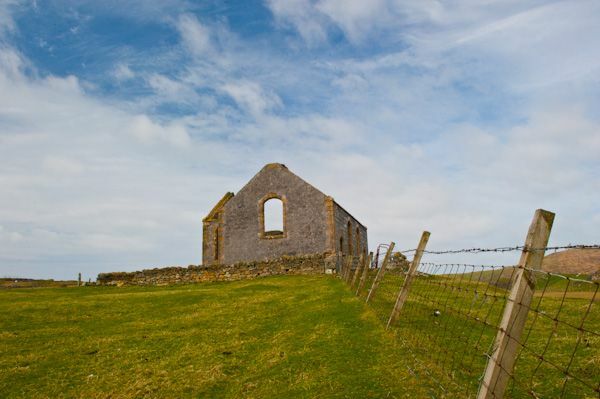 Though Telford was most known for his engineering works, especially bridges, he also undertook several architectural commissions, and the Berneray church is among these. 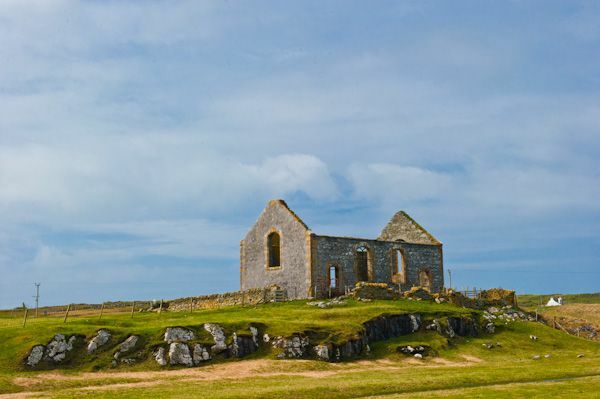 The church stands on a small, rocky outcrop looking over farm fields to the machair and East Beach beyond. The only access to the site is through private farm fields, so do make sure to close all gates behind you. The church is a complete shell; the interior offers little clue as to how it may have looked when complete. 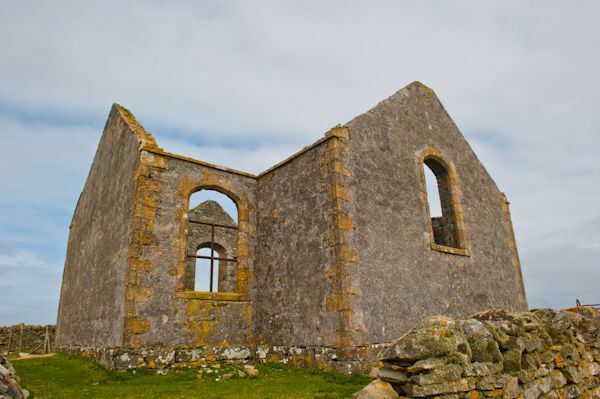 Also known as Berneray Parliamentary church, this was a 'quoad sacra' church, built in 1827-9 at the same time as the manse and several outbuildings. Quoad Sacra loosely translates as 'concerning sacred matters', and refers in this context to a parish having only a religious function (i.e. the parish served no political or geographic purpose). 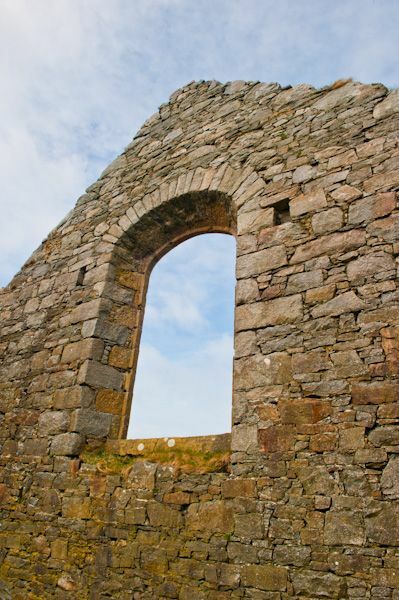 The ruins are complete to the roofline, with full-height gables. 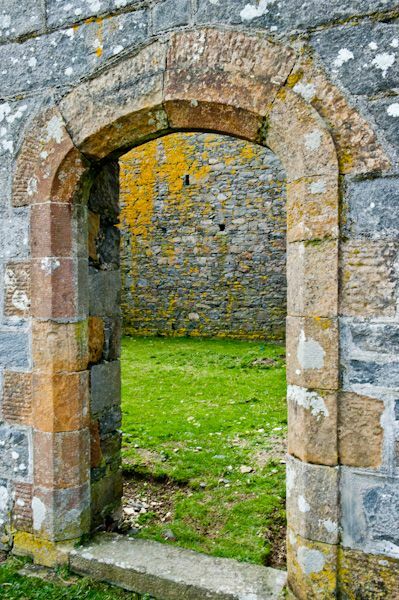 One obvious point of interest is that there are two doors, both looking towards the coast. One was intended for use by the parishioners of Berneray, and the other for attendees from Pabbay, who would row to the island for services. Location: On the east shore of Berneray, off the coastal route opposite East Beach. No direct route, so you'll have to go through the farm yard. 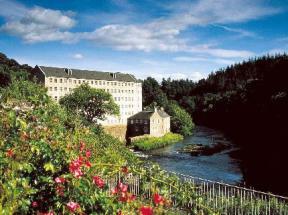 Nearby accommodation is calculated 'as the crow flies' from Telford Church. 'Nearest' may involve a long drive up and down glens or, if you are near the coast, may include a ferry ride! Please check the property map to make sure the location is right for you.